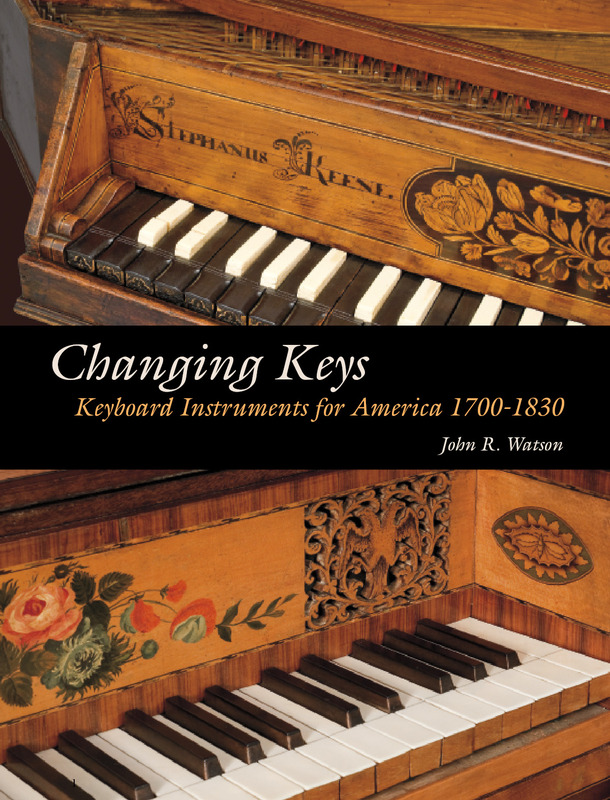 A new book by John R. Watson as curator of musical instrument at the Colonial Williamsburg Foundation, illuminates the dramatic changes in keyboard instruments during the eighteenth and early nineteenth centuries. Seen from an Anglo-American perspective that relied on London for music and instruments over most of that period, the book examines 38 keyboard examples in the collection of the Colonial Williamsburg Foundation, including harpsichords, spinets, organs and pianos. The title has multiple meanings. The book traces the transition from harpsichord to piano and the accompanying shift in taste during the period, also the burgeoning American industry that eventually undercut London’s monopoly on the manufacture of instruments. The title also reflects the way individual instruments were changed by time and restorers over their history of use. 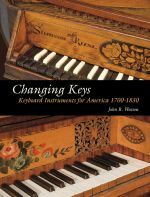 Changing Keys examines the evolution of instrument design due to regional and political influences, market and demographic shifts, manufacturing technologies and the competition among makers and merchants. The hard cover 144-page book features drawings and many exquisite color photographs of period keyboard instruments and details of decorative elements as well as the inner workings of the instruments. Descriptive entries, technical specifications, and a pictorial glossary help to clarify how the instruments were built, how they work, and how they changed over time. A special exhibit under the same name at the DeWitt Wallace Decorative Arts Museum features 28 of the instruments and will run through 2014. The exhibit was made possible through the support of the Freemans and from Debra and Thomas Strange. The hardcover book is co-published by Scarecrow Press, an imprint of the Rowman & Littlefield Publishing Group.